After years of economic misery, many of Detroit&apos;s historic buildings are being restored and transformed into vibrant additions to the Renaissance City. The city became a ghost town. People and businesses moved to the suburbs; buildings, last renovated in the 1960s and early 1980s, became vacant and derelict. The population dwindled from a peak of 1.8 million in 1950 to 700,000 in 2010. There was a pre-existing preservation movement afoot, and by the 2000s, adaptive-reuse and rehabs, most notably the redevelopment of the Book Cadillac Hotel, which had sat dormant for 25 years, were in the pipeline. However, the 2008 recession slowed that momentum. 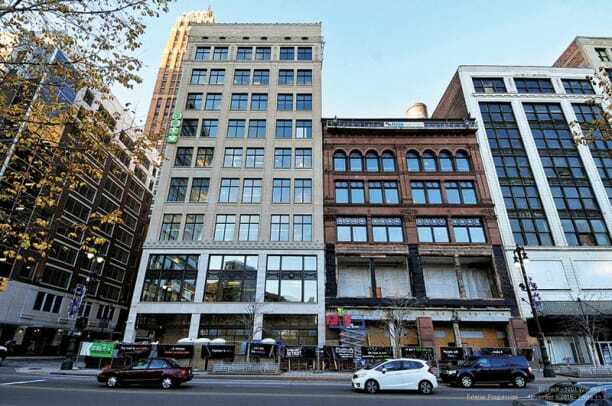 In 2010, Detroit native Dan Gilbert, the owner of Quicken Loans, stepped in, and as he said, in 2013, the year the city declared its spectacular bankruptcy, “went on a skyscraper sale.” To date, according to the headlines, his Bedrock Real Estate arm has restored not only some 78 properties that total 12.5 million square feet, but also the city’s faith in itself. “What’s going on in terms of preservation and adaptive reuse has happened in other cities,” Di Rita says. “In Detroit, it’s seemingly all at once, but it’s the full flower of what’s been under way for a long time.” The adaptive reuse movement that’s making Detroit a vibrant 21st-century city center cannot be easily duplicated in other cities, largely because, unlike the Motor City, most of their historic buildings have not survived intact. And, he adds, there were few cities prosperous enough in the 1920s to build on such a grand scale in such a short period. “Detroit’s skyscrapers are a manifestation of a moment in time,” he says. While other cities have spurred preservation with tax credits, Michigan’s historic tax credits ended in 2011, and most of the projects have been forced to rely solely on the 20% federal rehabilitation tax credit. Before the state credits ended, the residential David Broderick Tower (1928) was renovated in 2013; the Garden Theater in Midtown (1912) was repurposed in 2014; and the David Whitney was converted from medical offices to residences and a hotel in 2015. It is projects like these that are bringing in young people, who like to frequent brew pubs and tony shops like Shinola, the watchmaker that rehabbed the old Creamery Building on Selden Street in Midtown. 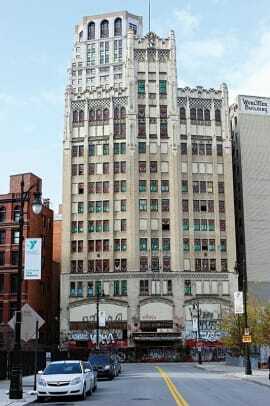 On a grander scale, The Roxbury Group bought and redeveloped Burnham’s David Whitney, which for nearly a century has stood as a gateway to Detroit’s downtown. Built in 1915, it was “modernized” in 1959 and closed in 1999. 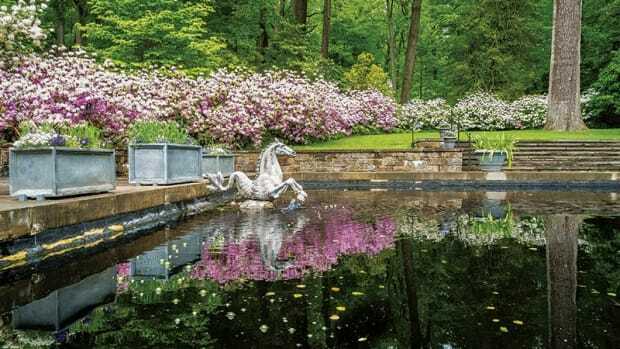 “A Gilded Age palace, its decline tracked Detroit’s trajectory of decline,” Di Rita says. Detroit’s renaissance – just like the early 20th-century building boom – isn’t confined to the city’s center. Ronald D. Staley, senior vice president and director of The Christman Co.’s Historic Preservation Group, is experiencing this first-hand. At the north end of downtown, in what is called New Center, Christman Co. built the stately, Art Deco Fisher Building, which is commonly called “Detroit’s largest art object,” in 1928. Detroit Cornice and Slate Co., renovated for Blue Cross Blue Shield of Michigan. Kresge Building (also known as 1201/1217 Woodward), restored for Bedrock Real Estate Services. 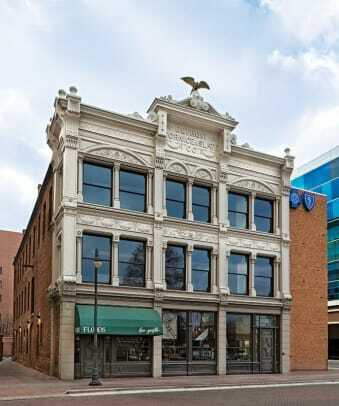 Malcomson Building, (also known as 1215 Griswold), restored for Bedrock Real Estate Services. 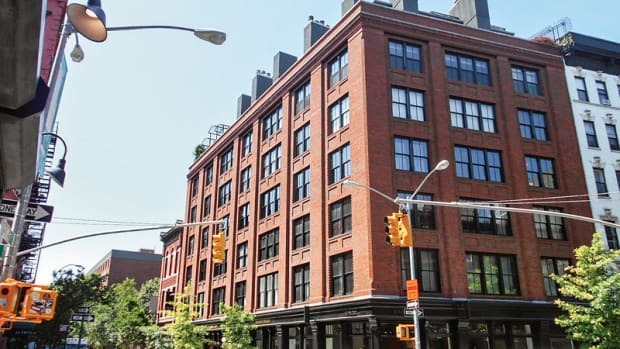 David Whitney to Aloft Hotel and apartments, The Roxbury Group. Christman, which opened its first Detroit office in 1915, also built the Detroit Masonic Temple (1926), the Maccabees Building (1927) and the Detroit Times (1929). The firm maintained offices in Albert Kahn’s 441-ft.-high limestone, granite and marble tower until the 1950s, when it, like many others, retreated to the suburbs. The national landmark, called the Cathedral to Commerce, is only half full, and Christman is assisting with small repair projects for the owners, who ultimately hope to fully restore it to its original grandeur. There’s a lot of work to be done: Most of the building’s systems have not been upgraded since it opened its doors. “Moving back into one of Detroit’s ‘crown jewels’ has not only been exciting, but working daily in our own restored space helps us to much more closely identify with customers who also want to save, restore and reoccupy the city’s heritage of these amazing historic buildings,” Staley says. 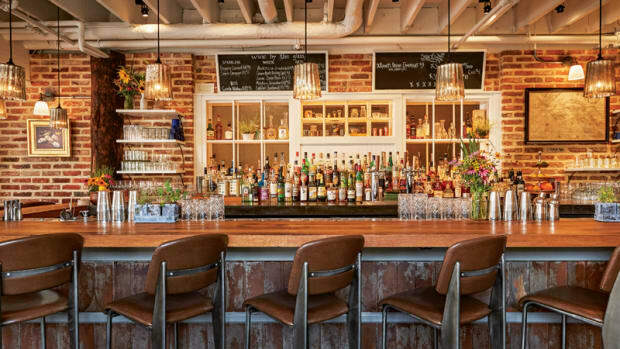 Two recently opened restaurants are enhancing the historic quality of one of Washington, DC’s last Victoria-era alleys, Blagden Alley.